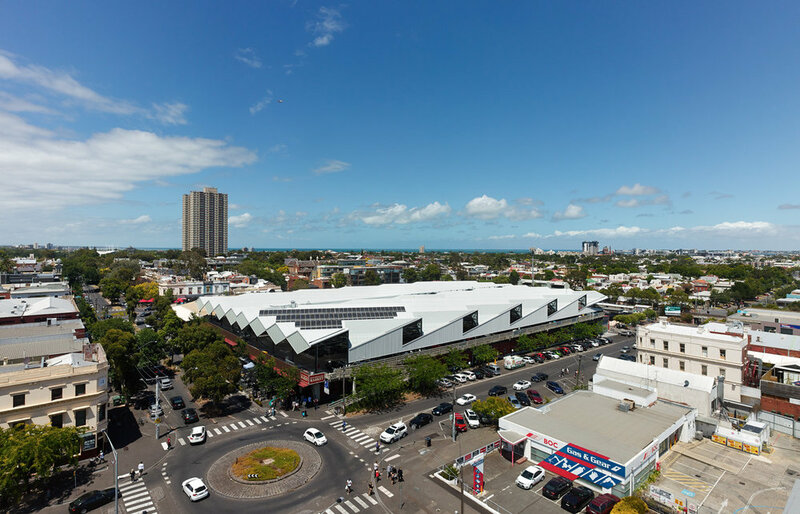 Paul Morgan Architects’ South Melbourne Market Roof. 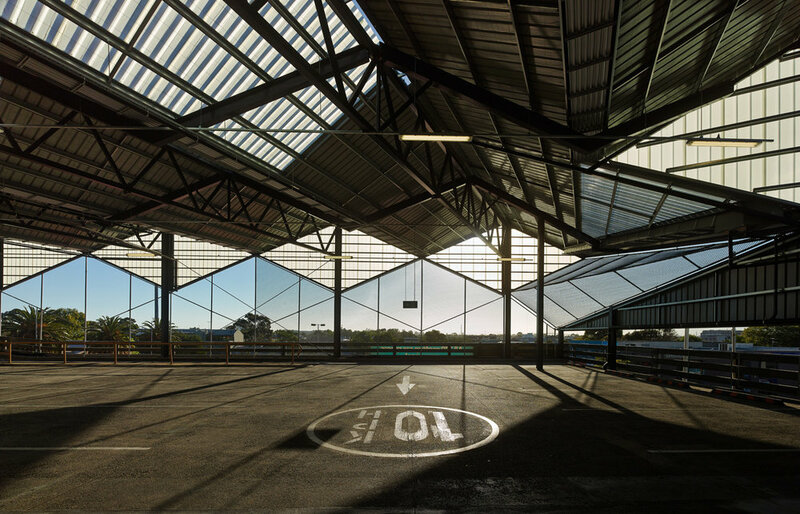 A car park becomes a local icon that also harvests solar power and rainwater, while reflecting the area’s rich history of industrial buildings with saw-tooth roof profiles. A car park becomes a local icon – that also harvests solar power and rainwater. 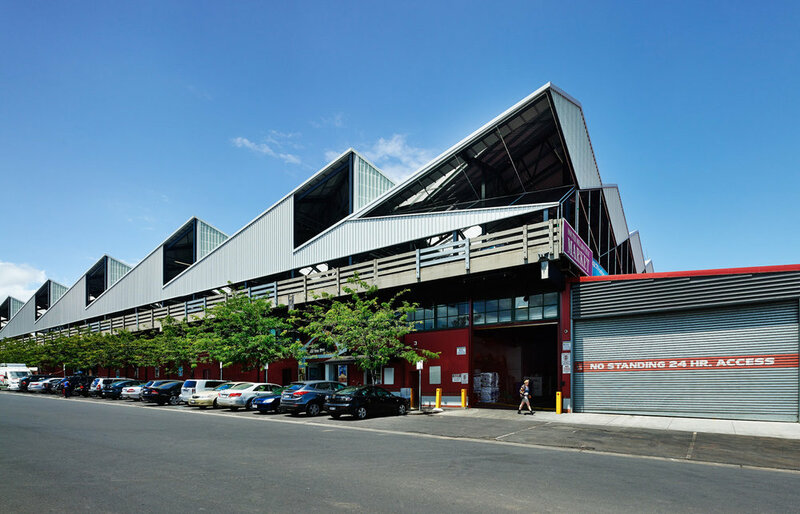 South Melbourne has a rich history of industrial buildings with saw-tooth roof profiles. In this 7,865 sqm roof for the South Melbourne Market, built over an existing first floor 275 bay concrete car park, we have created a contemporary interpretation of the area’s history, while also maximizing its potential for solar power generation. Council’s original brief was to solve the problems of rainwater leaks, heat load during summer and amenity of the shoppers. We were hired to document the engineer’s sketches, but argued that, as one of the largest urban design works in the local area at the time, the project was worthy of intense design focus. Construction was programmed to minimize disruption to the market and to access by shoppers. The roof plane was twisted to meet the same angle as Melbourne’s greater metropolitan grid, an orientation that is also preferable for solar gain for photovoltaic cells mounted on top of it. The resulting skew from the South Melbourne grid has resulted in triangular and rhomboidal figuration on the elevations. This contemporary interpretation of the saw-tooth roof thus contributes to the urban fabric by giving it contemporary form and narrating the differing scale of Melbourne’s grids. Critically, the strong profile of the roof on the skyline will act as a signifier for the market, and assist in strengthening of the market’s identity over time.